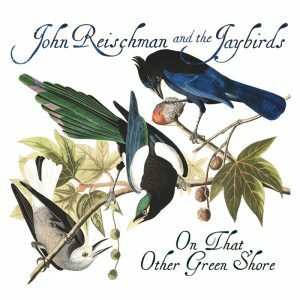 On That Other Green Shore showcases an accomplished, experienced band at the peak of their powers, with musicianship of the very highest order. 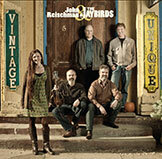 The Jaybirds put their own particular stamp on bluegrass, old time and acoustic roots music, with a satisfying blend of traditional and modern styles, and they also give the impression that they really enjoy playing together. There’s plenty here to please both bluegrass traditionalists and lovers of modern American folk music, especially for those with an appreciation of great harmony singing as well as masterful instrumental playing. 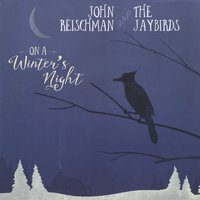 On A Winter’s Night from John Reischman and the Jaybirds is the most refreshing Christmas collection I’ve heard in a long time. It collects eight songs of the season that are not the same old, same old. These aren’t just Christmas tunes played in a bluegrass style. They are folk songs on the subject of Christmas. From the lead-off “I Heard From Heaven Today” to the closing song, each tune resonates with a joy and spirit of the holiday. 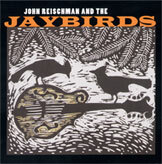 Another polished gem showcasing the band’s trademark blend of old-time influences with a bluegrass twist, The Jaybirds offer their most wide-ranging effort to date, exploring a musical universe that glows throughout with bright, intelligent songs and instrumentals. The multi-genre repertoire highlights the best of traditional and contemporary acoustic music, with all five band members again contributing new material — eight of the album’s 14 numbers are certifiably fresh originals. A Juno nominated CD featuring original material from all five band members as well as songs from the public domain. 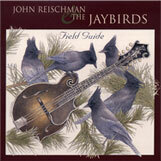 The third album from John Reischman and the Jaybirds: a powerful follow-up to the band’s acclaimed “Field Guide” CD. Many more originals, traditional tunes given a Jaybirds arrangement, as well as songs by the likes of Don Stover and Harold Hensley. Nominated for an IBMA Award. Nominated in the Roots and Traditional category for Canada’s most distinguished recording arts award, The Juno. Debut CD featuring original material, songs from contemporary songwriters (Susan Crowe, Gillian Welch) and songs from the public domain.